We came up with the idea of opening a doggy daycare about 8 years ago when we started taking our sweet energetic boxer puppy to a nearby doggy daycare. We were so happy to find a place where our pup could have fun and play all day with her friends while we were at work. I (Roxanne) am a registered veterinary technician and have worked in the veterinary field for 25 years. My husband (Joe) and I have been animal lovers our whole lives and our four legged kids are the center of our lives. We have a Jack Russell named Dillon, two Boxers named Luke & Leia, two horses and some chickens. My mother (Rita) shares our passion for animals and has an adorable Boston Terrier named “Annie” and a Dalmatian mix named “Miley”. 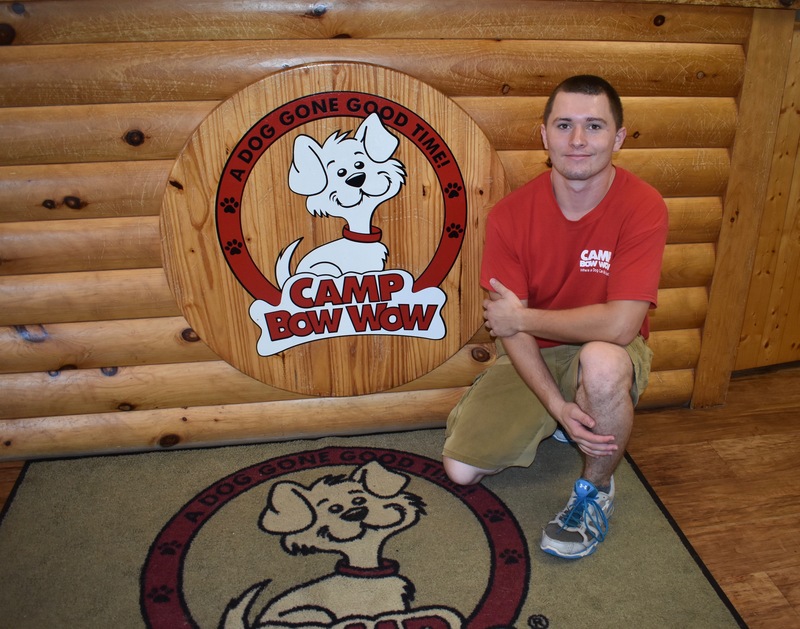 We visited several Camp Bow Wow locations before deciding on going the franchise route. 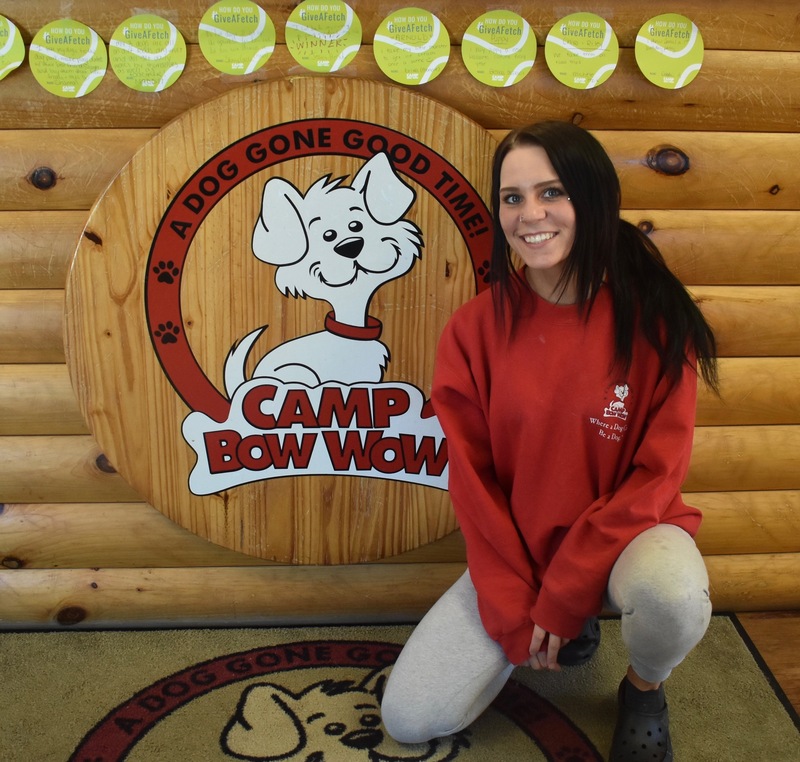 We were so impressed with the careful attention to detail and dedication to provide a safe and fun environment for dogs that we knew Camp Bow Wow was the perfect choice. 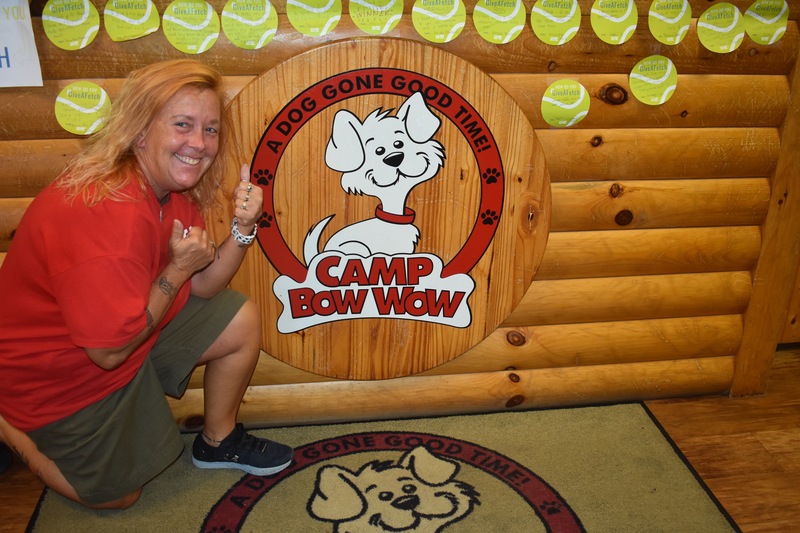 This is definitely a family affair and we along with our wonderful and dedicated camp counselors have so much fun providing a safe and interactive environment for our happy pups! Background: Graduated from the University of Akron with a degree in Early Childhood Education and Dance. I have been teaching dance since I was 17 and I am currently teaching at our family studio called Interpretation's Dance Academy in Broadview Heights. I am happily married and have a beautiful 2 year old daughter named Emery. What I love most about my job: I love seeing the variety of breeds coming in and all the different personalities they bring to Camp. The pups always put a smile on my face! I love the relationships we build with the customers and having them know we love their pups like our own! My pets: Charlotte (11) - Puggle and Phoebe (11) - Puggle. 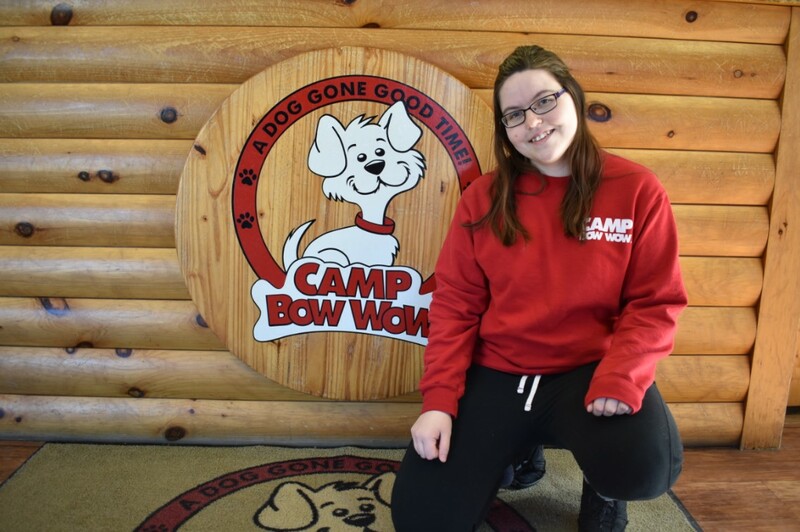 Background: Graduated from Strongsville High School and I am currently attending Animal Behavior College (ABC) Dog Trainer program. I am shooting for honors! Additional Skills/Qualifications: Certified in Pet CPR and First Aid. I did pet sitting for my neighbors and I always went above and beyond. 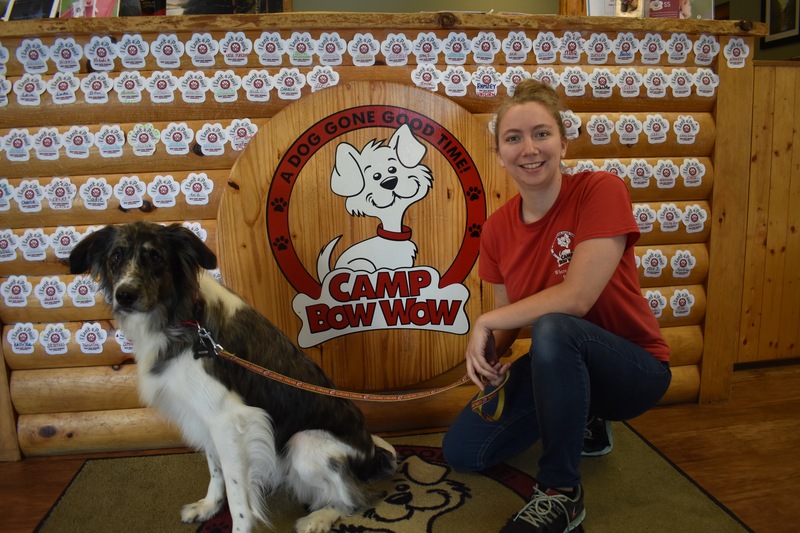 What I love most about my job: Meeting a wide variety of dogs and seeing dogs learn and grow through my training. Background: I have had the great pleasure of working in many aspects of the Veterinary field where I gained knowledge, certifications and along with continuing education over my career. Additional Skills/Qualifications: I was a past business owner where I was dedicated to client service/satisfaction and also worked in shelters, fostered and placed dogs and cats. What I love most about my job: There's nothing more rewarding than experiencing the loving bond between man and his best friend! Also being able to experience this every single day...it is what I live for! Background: I also work at Kohl's unloading the trucks. I am going to school for Pharmacy Tech. What I love most about my job: I love being around the dogs. No matter how much drool I get on me, I still just love all the dogs - even the not so well behaved ones! Background: I attended Adrian College and then Marshall University for Fine Arts and Business Administration. 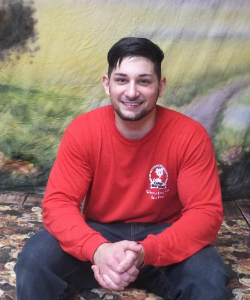 I am currently studying Dog Obedience Training at Animal Behavior College. 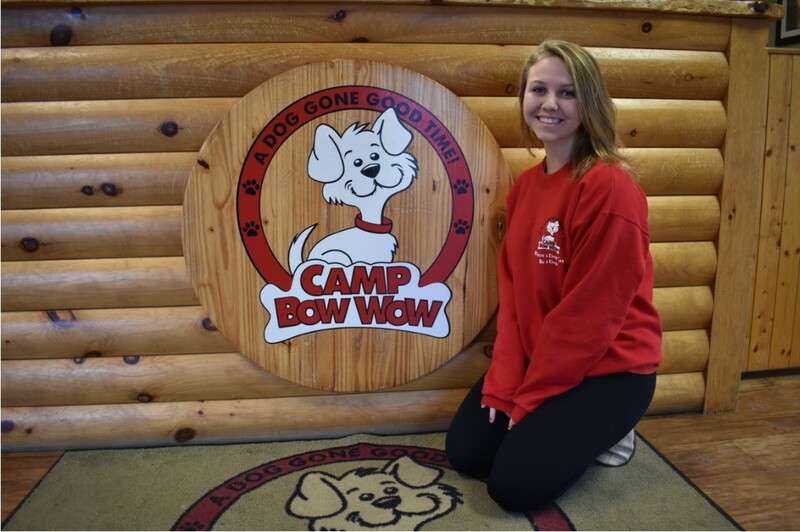 Additional Skills/Qualifications: Trained in dog behavior and play yard management. Certified in Pet CPR and First Aid. What I love most about my job: I love all the different breeds that we get to meet. Being in the play yard and watching all the dogs enjoy themselves is so rewarding. I love spending time with them all and really getting to know their personalities. Background: I went to Lorain County Community College (LCCC) for four years for Police Science. I am currently in the Medina County Career Center Police Academy to become a Police Officer. Additional Skills/Qualifications: I have BLS Red Cross Certification and advanced First Aid & CPR for Humans. Also certified in Pet CPR and First Aid. 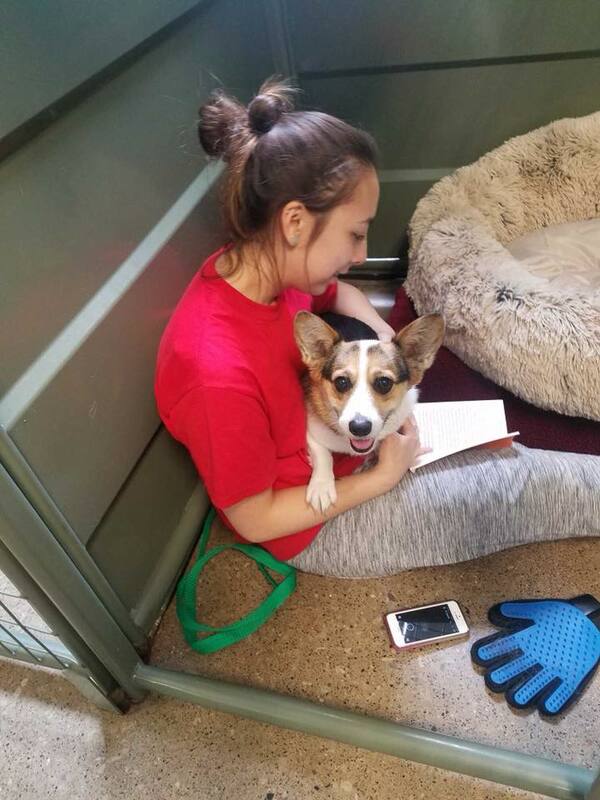 What I love most about my job: What I love most about this job is being able to have a lot of fun with all the dogs that come to this facility and getting to know them along with everyone else. Background: Currently attending Baldwin Wallace University to earn a Bachelor's degree in Middle Childhood Education with minors in Science and English language arts. What I love most about my job: I love spending time with the dogs. It's impossible to have a bad day when you're surrounded by the most loving and caring animals! Background: I have a background in fine digital and graphic arts. I went to A.I.H. Axia online. I have a few years experience as a dog bather and would like to become a licensed groomer. Additional Skills/Qualifications: I am pretty empathic, which makes me very good at "feeling out" people and pets. I have spent a life time studying people's mentality, personality types and more. I know human CPR and First Aid. I'm a jack of all trades but a monster of the arts. What I love most about my job: I love spending time in the yards with the dogs. I do my best to try to show each affection when I can. I believe they help me just as much as I them. There are no bad dogs...some need more love. My pets: Zanda "Bun" - Dwarf Lion Head - bunny. "Deter & Barley" - Albino "buns". These two are a bonded pair. They are very grateful to be out of the shelter. They love their greens and like to do binkys around the house. Background: I am currently attending Bowling Green State University to earn a degree in Biology. Additional Skills/Qualifications: Certified in Pet CPR and First Aid. I also take my own dog to weekly agility and flyball classes, so I am familiar with how dogs learn. What I love most about my job: I love coming back for breaks in my University's schedule and seeing all of the familiar campers, as well as meeting new ones. They all have such unique personalities. 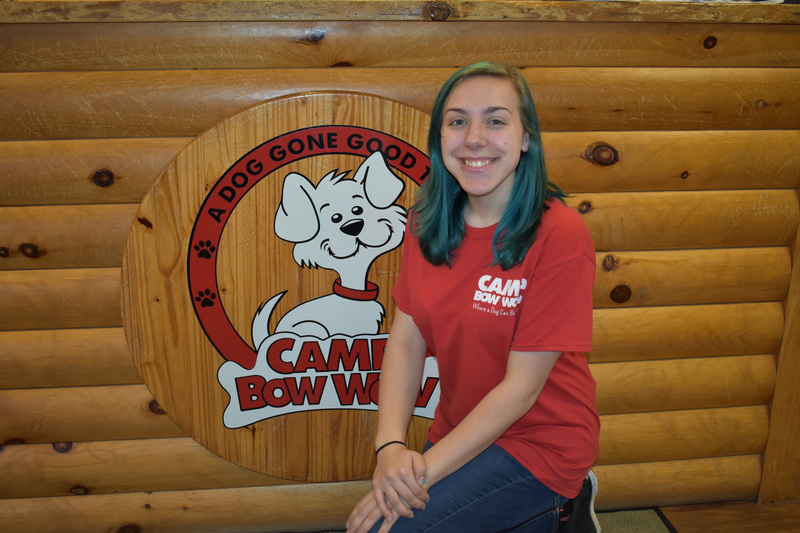 Additional Skills/Qualifications: Certified in Pet First Aid & CPR, trained in dog behavior and play yard management and also worked as a Pet Groomer. What I love most about my job: I love working with dogs and it has been my dream job since I was a child. I love how excited they are to visit Camp! Additional Skills/Qualifications: Certified in Pet CPR and First Aid. What I love most about my job: Working with the pups and the people! My pets: Thor - 5 year old Giant Alaskan Malamute. Zeus - 4 year old Giant Alaskan Malamute. Grace - 4 year old Golden Retriever. Hooch - 14 year old Dachshund. 3 turtles and an outdoor pond filled with goldfish. Background: Worked at Olympia Candy & Gill and Slim & Chubby's as a food runner. I graduated from Strongsville High School and Polaris Career Center in the Medical Professions Program. Additional Skills/Qualifications: Certified in Pet CPR & First Aid. Also trained in STNA/Certified in CPR on humans. Also going to school to earn my Echocardiography Certification. What I love most about my job: Variety of dogs you get to see everyday! Background: I attend Cleveland State University as an aspiring Physical Therapist. What I love most about my job: I most love spending time with the dogs because every one of them is a friend to me. My pets: Cricket (1) - Yorkie-Poo and Lily (14.5) - Border Collie/Collie mix. Background: Graduated from Berea-Midpark high school in 2017. Student at Tri-C. Past job as dietary aid at Parkside Villa Nursing Home. Live with my mom and dad and 2 dogs Marlee & Sammy. I enjoy working out, running, being with my friends and family and being around animals. What I love most about my job: Knowing I get to wake up and interact with dogs almost everyday. They always have a way of making me feel happy, and it's nice to know I can positively impact their lives. My pets: Marlee May - 2 year old Golden Retreiver. Sammy - 13 year old Beagle mix. Additional Skills/Qualifications: Certifed in Pet CPR and First Aid. Certified EPA. Additional Skills/Qualifications: Certified in Pet CPR & First Aid. What I love most about my job: Watching the dogs being silly and playing. Getting to work and seeing Lexi Vargo there because she runs to the gate with a big and beautiful smile and gives me tons of kisses! I love doing Snuggle Times because the dogs curl up on my lap and fall asleep. Background: I studied Sociology & Criminology at Cleveland State University. I was a Manager at Chop It. Horticulture crew leader at City of Strongsville service department and an Administrative Assistant/HR at Tymex Plastics. 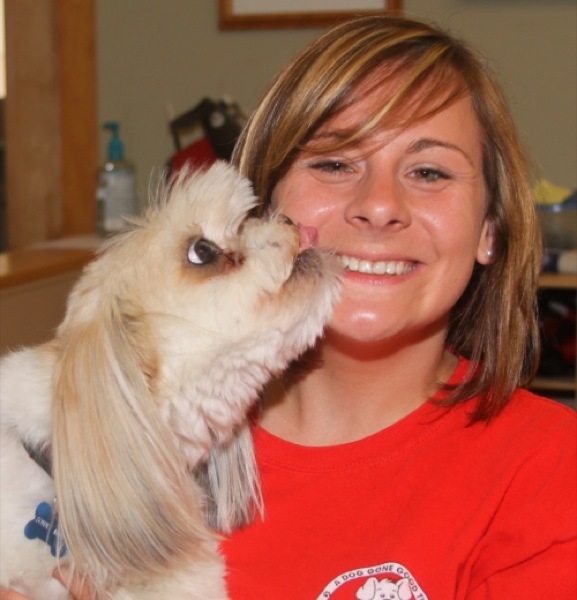 Additional Skills/Qualifications: Certified in Pet First Aid & CPR, trained in dog behavior and play yard management. I am a Foster Dog Family and we have fostered dogs since 2006 for varies rescues. What I love most about my job: I love being able to work with both dogs & people. I thas always been a dream of mine to be able to mix my passion for animal and management experience into one position. My pets: Bella - 7 year old Pitbull. Zeppy - 13 year old Doxin/Corgi. Background: Bachelors degree in Business Administration from Kent State University where I majored in Management and received a minor in Marketing and Entrepreneurship. 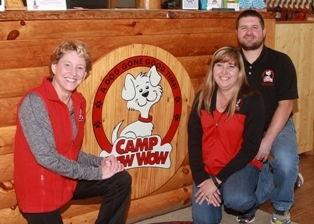 I have worked in the dog care industry for twelve years and previously worked for Sharon Center Veterinary Hospital. 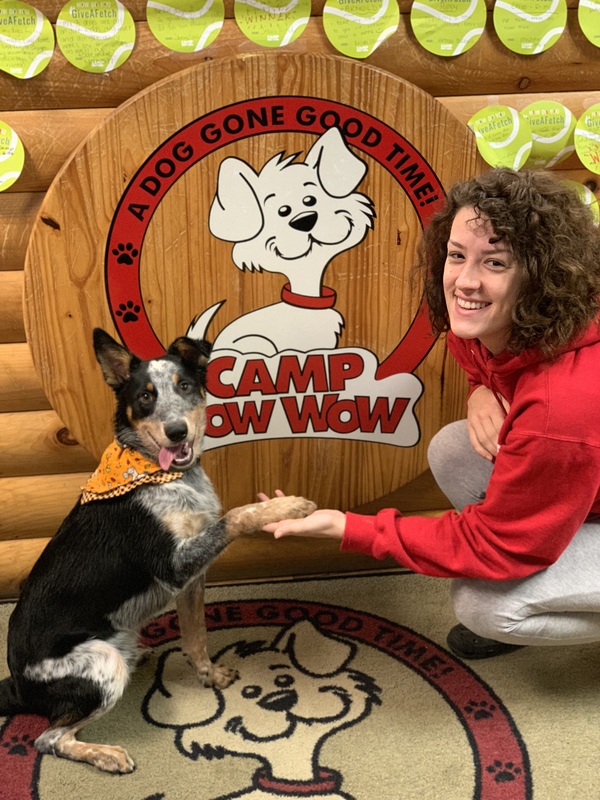 What I love most about my job: Seeing dogs adjust and enjoy the daycare environment and also seeing just how happy their owners are when they pick up their Campers. My pets: Sonny Moon - 10 year old Shih-Tzu/Poodle (Shih-Poo). Izzy Boo - 9 year old Staffordshire Terrier mix. Mackenzie Lou - 11 year old American Lab. Background: I start school in January for Vet Tech. Additional Skills/Qualifications: I can do a head stand! I also have a skill to love on every dog I so happen to see. Also certified in Pet CPR & First Aid. What I love most about my job: Getting to play with all kinds of cute dogs and seeing different breeds. My pets: Nova - 2 year old Staffordshire Bull Terrier. Willow - 1 year old Pit Bull Terrier. Background: Attending Tri-C Metropolitan Campus for their Medical Laboratory Technician Program. I will be graduating in December of 2019. What I love most about my job: Meeting all the dogs and seeing all the different personalities of the dogs. 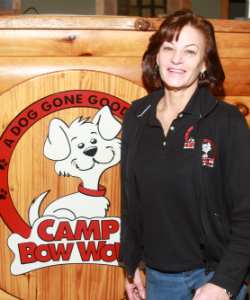 Background: 30 years as a Veterinary Assistant and 22 years as a Professional Groomer. Additional Skills/Qualifications: I also worked with and trained dogs in basic obedience and also worked with rescue dogs that had bad behavior. What I love most about my job: I love dogs! The people I work with are great too. 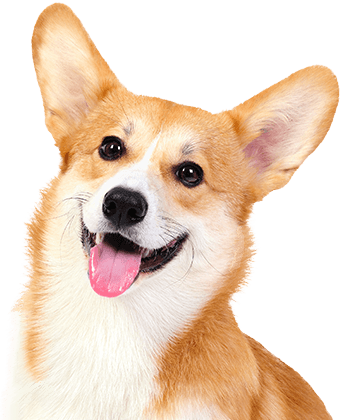 My pets: Jet (3) - Cardigan Welsh Corgi, Eliza (10 months ) - Cardigan Welsh Corgi, Elphie (3) - Pembroke Welsh Corgi, Halle (2) - Pembroke Welsh Corgi, Aero (1) - Smooth Collie and a champ at 11 months!